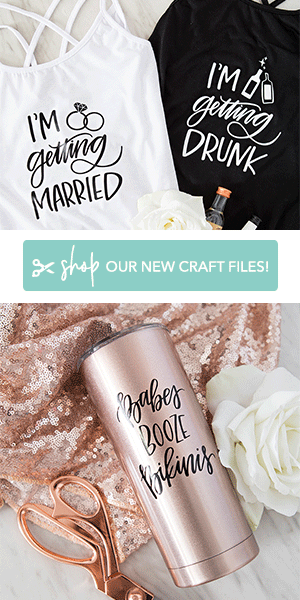 different stickers or labels of any kind! 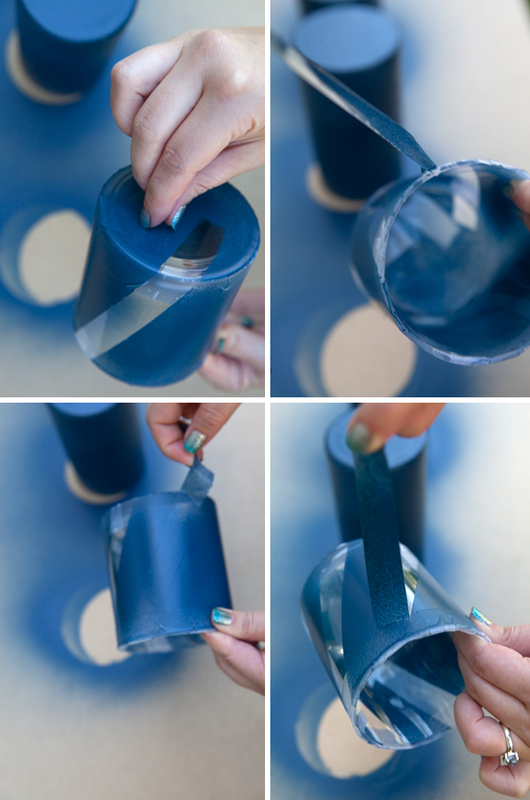 …using any type of tape, sticker or label that you choose. Press firmly to create a cute relief design! 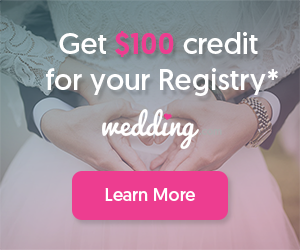 Get creative with your placement! 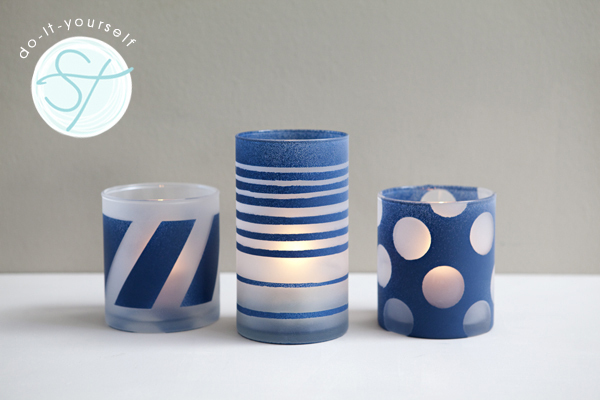 These jars feel nautical… but yours could be modern or shabby chic! 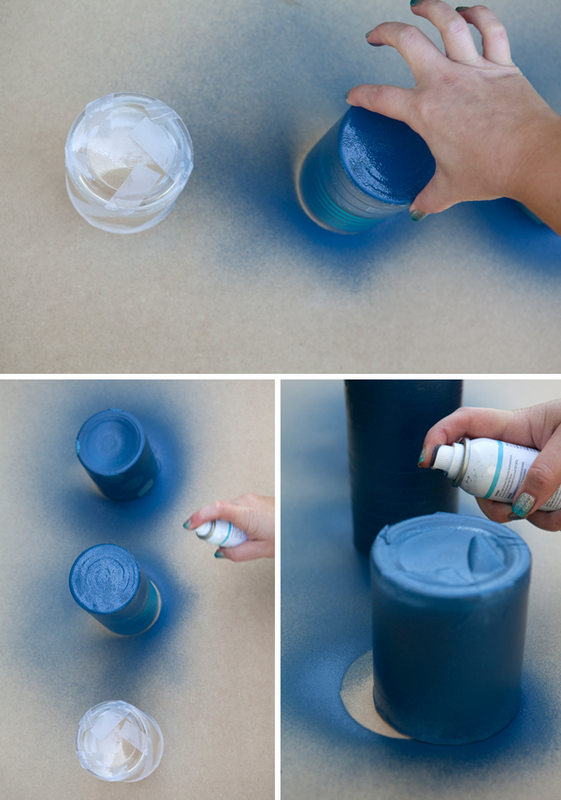 Using the Martha Stewart Spray Paint Kit, mix the paint and spray medium as directed on the package. 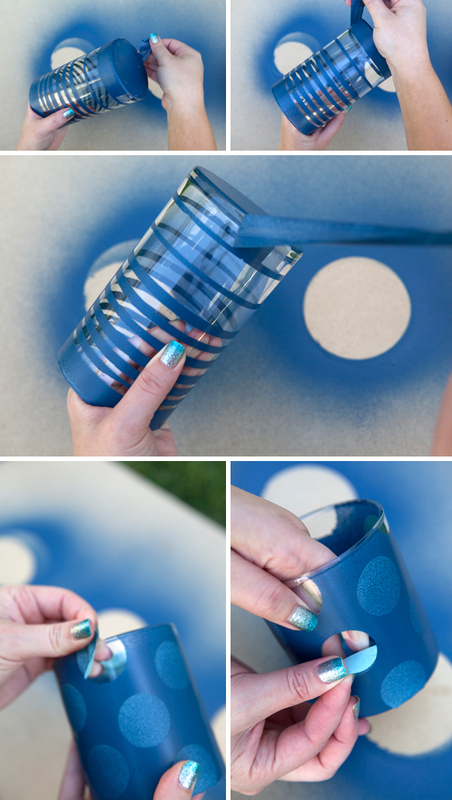 Of course you can always use a regular type of spray paint, but this technique is just so much fun! Spray your glassware as desired… in a safe area, like my backyard! Wait only like 5 to 10 minutes before carefully removing the tape. Removing it before the paint dries completely will help prevent paint from lifting off the glass. If your paint does lift off… use a paintbrush to touch up before you add the frosted layer. After the first coat of colored paint is completely dry, then spray on the Frosted Glass Finish… this is my favorite part! I sprayed three light coats onto the jars. When this paint is wet, it looks wet – it takes like a minute to fog up and then just looks amazing! So fun… and gives off such a romantic light!!! The frosted look will go perfectly with any color scheme! Keep your ideas coming, I love em! 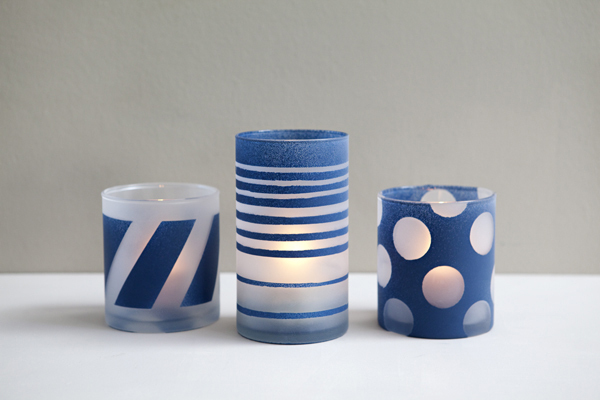 I have also been experimenting with cement too and have made some great cement hand tealight candle holders too! (it's amazing what you can do with a latex glove and cement!) Have a great day! These are awesome! This will be a perfect little weekend project to decorate our new house! This is way cool... thinking of doing this for the 4th of July and using stars as the stickers! When finished are these dishwasher safe, and can you use them as drinking glasses? Hi Dean. 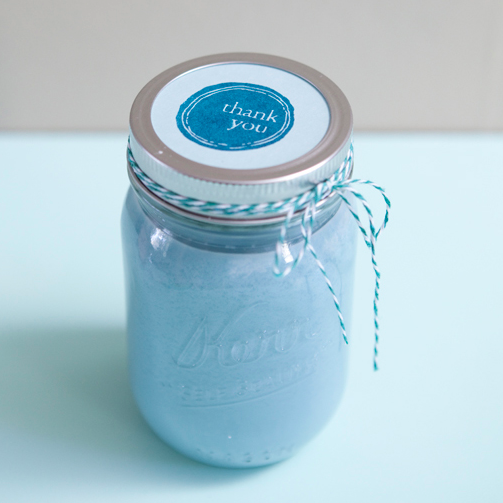 If you use only the Martha Stewart Paint, yes. With the addition of the frosted glass paint, no. 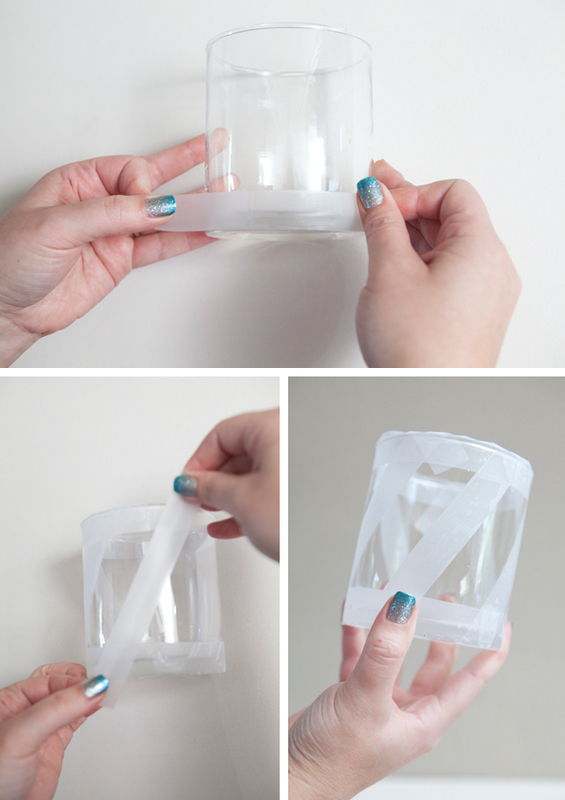 This tutorial was not meant for drinking glasses. Thank you for a wonderful idea! It's wonderful! I loved it! I don't own a dishwasher :) If one chose to use these for drinking ware would you suggest not to put the frosting paint on the rim of the glasses where one would place their lips to drink? Would hand washing suffice! Or would using these at all in any manner for consuming beverages totally a BAD IDEA! I would like to know your opinion, thanks in advance. Great tutorial! Hi Cali, neither paint is 'food safe' - meaning your food and lips shouldn't touch the paint. 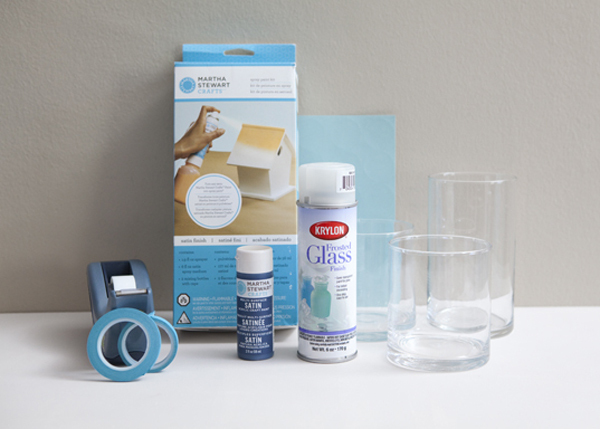 The frosted glass paint is not dishwasher or hand wash safe - it will come right off. Hope this helps! Love the idea thanks for sharing. Hi CopperTopper! Haha! Aren’t they fun! They are just Sally Hansen Salon Effects Nail Stickers – you must try them, they are fabulous! Great idea thanks for sharing. How do you keep the paint from coming up with the tape or the sticker? I have tried but particularly with the scotch tape it is messy. So cute! I love how you combined the paint and frosted glass. Such a lovely effect. These look wonderful! 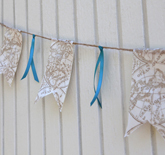 I want to make these for my wedding... is the color of the blue you used called Wild Blueberry? These are going to make perfect candle holders for one of my tables. Thank you for sharing your creativity! Time to get my creative mojo flowing! These are great! 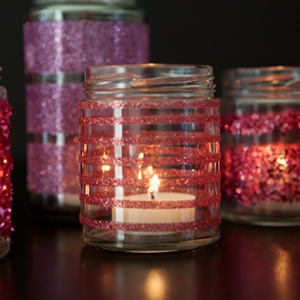 I want to use this idea for my jars I hand pour Soy Candles in. 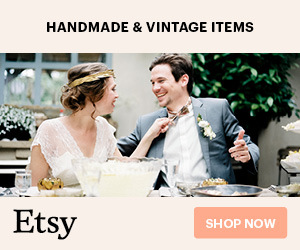 Is it safe to use this idea for hand poured candles, since spray paint is usually flammable? I loved this tutorial! What a great idea! I wanted to ask though, is it safe to put a candle in the jar? Isn't the paint flammable? Well... the candles will be on the inside of the glass and the flame shouldn't touch the paint- so it's all good!